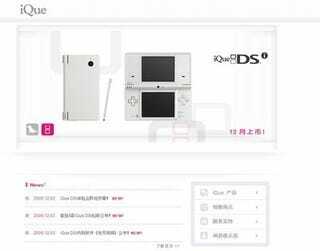 China's iQue, which officially hands Nintendo releases in the territory, will be launching the DSi (iQue DSi) in China on December 15. The game will come pre-loaded with Nintendogs. There will be a line-up of DSiWare titles localized into Chinese, which should correspond with the DSiWare launch line-up in Japan. Players get a 1000 DSiWare point gift card that must be used by March 2011. To promote the hardware launch, DSi demos have been popping up in cities like Shanghai.